Happy 80th birthday, Pooh! The Bear of Very Little Brain and his friends from the Hundred Acre Wood have delighted generations of readers since Winnie-the-Pooh was first published in 1926. 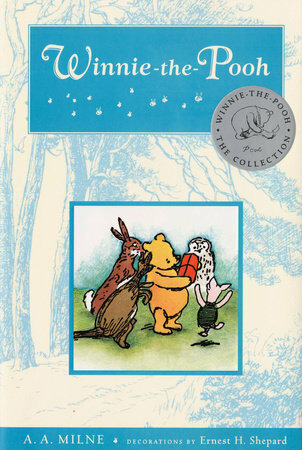 This deluxe anniversary edition of Winnie-the-Pooh is the perfect way to celebrate the enduring popularity of A. A. Milne's classic work. The interior features the unabridged text and Ernest H. Shepard's charming illustrations in full color on cream-colored stock. It is an impressive package for new fans and collectors both. Three cheers for Pooh!